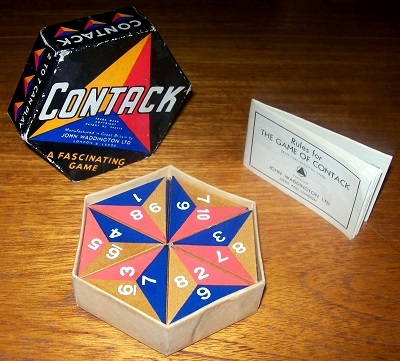 'CONTACK' GAME: A fascinating game. Contack is a game played with 36 triangular pieces. The three sides of each triangle are different in colour and each side has a number printed at its edge. 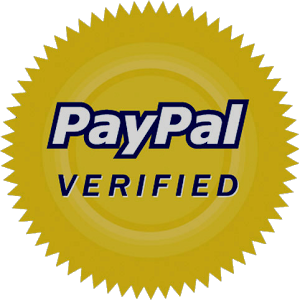 These numbers run from 1 to 10 and are scientifically arranged at the edge of the triangles so that they may be matched with each other or added together to form scoring combinations in the game. This game is in complete and excellent condition. Save for minor storage wear to the box lid, the box itself is in sound condition and fully intact without any use of sellotape. All 36 playing pieces present themselves in immaculate condition and do not look to have been used at all. The rule booklet is likewise in flawless condition.